Saint-Tropez, the famous fishing village in the South of France, combines the charm and friendliness of a Provencal village with its attractive places to international fame. Indeed, the famous city of the “French Riviera” Saint-Tropez is invested every summer by the jet-setters and celebrities around the world, becoming “the place to be” for the relaxation of his days and its nights fever. 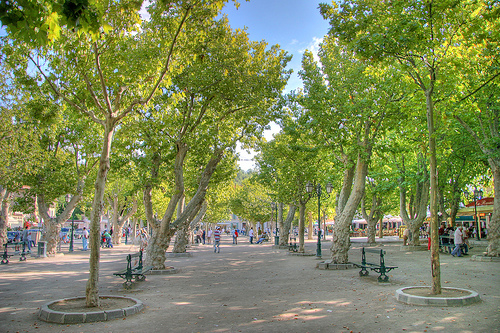 Wandering in the old Saint-Tropez: Sink into the narrow streets of the old city centre to admire the earthy typically Provençal houses and play boules on the famous Place des Lices, or enjoy its typical market on Tuesdays and Saturdays. Visit the Museum of the Annunciation: being originally a chapel, it is now an art gallery with works by Matisse and Signac, among others. This is one of the best galleries in France for the period neo-impressionist. Enjoy a relaxing time on the beach: Saint-Tropez has many beautiful beaches, but the most famous is the sandy beach of the Bay of Pampelonne. The peninsula of Saint Tropez also offers a variety of water sports: swimming, sailing, jet ski rides, water skiing, parasailing, scuba diving for all levels… and there is also the possibility to play golf. But also discover the nightlife of St. Tropez, from sunset at dawn Saint-Tropez, the capital of the night and the parties continues to dance, punctuated by its lively evenings. Take a trip to Provence, visit this region of the Southern of France made of varied landscapes, bathed in Mediterranean culture. You will find nearly 900km of beaches, coves and harbors, 27.000km2 forest with sun almost constant (around 3000 h / year on average!). Provence is a multitude of small villages in the picturesque character. Côte d’Azur, the famous French Riviera, which extends the departments of Var and Alpes-Maritimes welcomes tourism intense and rather luxurious. This is the major festive events and social with its chic restaurants, beautiful shops, private beaches and prestigious residences. The main cities that you can visit are Nice “la bella” with the Bay of Angels and its Promenade des Anglais, Cannes “Pearl of the Cote d’Azur” with the famous “Croisette”, Saint Tropez with its Place des Lices and its yellow clochet. 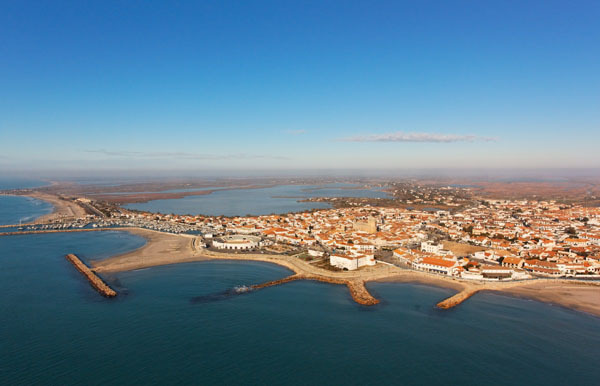 But the sea is also the Camargue with Saintes-Maries-de-la-mer which is the beating heart of the Camargue. This is a popular resort of bathers for its miles of beaches for lovers of windsurfing, lovers of hiking or horseback. There is also Aigues-Mortes the city of St. Louis with its medieval city, Marseille and its old port, Nimes ” the beautiful Roman “with its arenas, Arles Roman city with its ancient theater or the palace of Avignon Pope. The Southern Alps rise above 4000m altitude to Nice … Clean air, open spaces protected … It’s still the Provence with the Alpes de Haute Provence and the Hautes Alpes offering you the joys of hiking in summer. Provence is of course olive trees and lavender, but they are the famous vineyards of the Côtes du Rhône, Bandol and Côtes de Provence always with the cicadas. Provence Alpes Côte d’Azur is the beaches, mountains, villages, Provencal cuisine and year-round sunshine, a great time to spend an unforgettable vacation with family or friends.